I have tested a lot of fluorescent and LED type night lights over the years. I have yet to find one, which is worth what I paid for it. All of the fluorescent lamps died within a few months. All LED lights faded to the 50% point in one year or less. 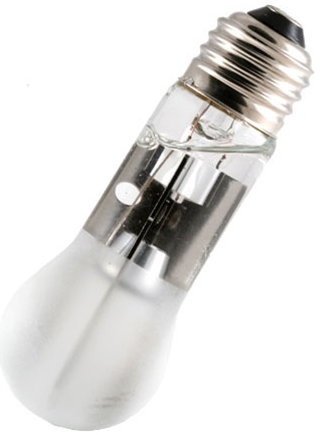 A 7 watt incandescent night light lamp does not put out much light and usually dies within 6 months but it is cheap and works the same predictable way from day one to when it dies. I use a brighter 7 watt lamp in my laundry room, where it runs 24/7. I use that position for testing the lifetime of various night lights. There is a gray smudge above the power outlet in that room, left by the puffs of smoke that came out of many of the night lights I have tested over the years when they died. intensity point. I think a reasonable figure of 5 years is doable. An automatic day/night switch would be nice, so the thing would not be turned on needlessly in the daylight. Am I asking too much? I can’t imagine that the electronics inside one of these things would be more complex than a compact fluorescent lamp. Why can’t someone make such a thing? Perhaps one way to handle the heat from the LED and the drive circuit is to use a liquid. Mineral oil or a phase change wax should do a fine job in drawing away the heat from internal parts toward the outside, where it can efficiently be dissipated. 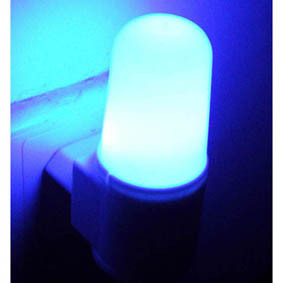 An example of such a light is shown below from a company called “Eternal LED.” Perhaps their “Hyralux” device could be scaled down for a night light application. I would think that a single efficient power LED would work better than a large cluster of smaller devices. This type of device would also be easier to keep cool. It would require a compact AC to DC converter, which would supply the LED with a constant current. The are lots of well designed AC to DC power supply circuits which could be modified for driving a 1 or 2 watt white LED with a constant current. Bias Power makes one such module but it only produces a fixed voltage. 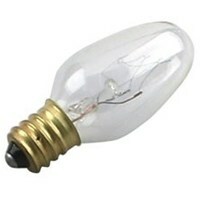 But, it would work for a couple 1W white LEDs as shown below. 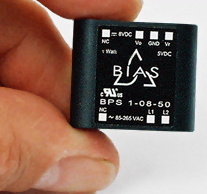 The Bias modules are pretty small so they could be slipped into a plastic housing with ease.